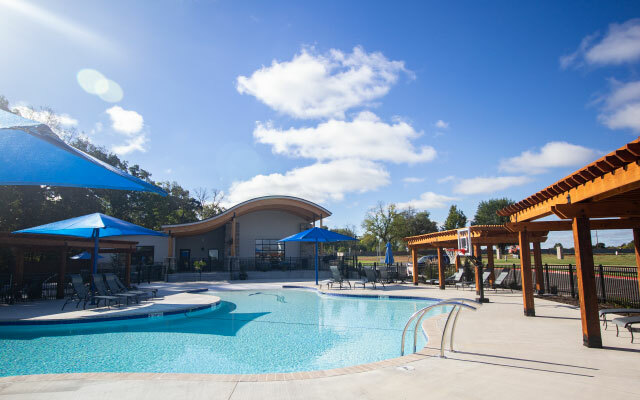 The centerpiece of Scissortail amenities is our opulent clubhouse. 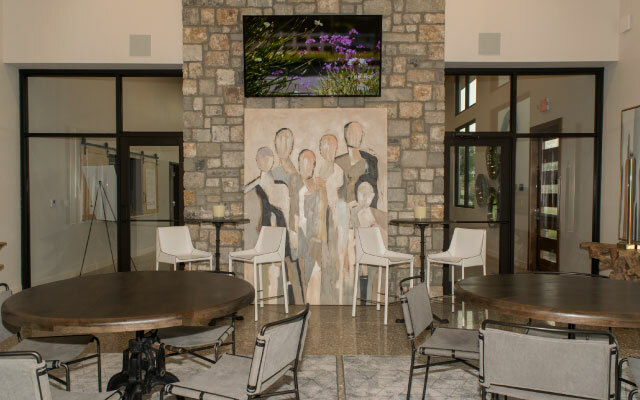 Here our residents gather to relax with neighbors or host private parties in luxurious surroundings. Burn the stress right out of your day on Scissortail’s sports court by practicing layups and backhands. 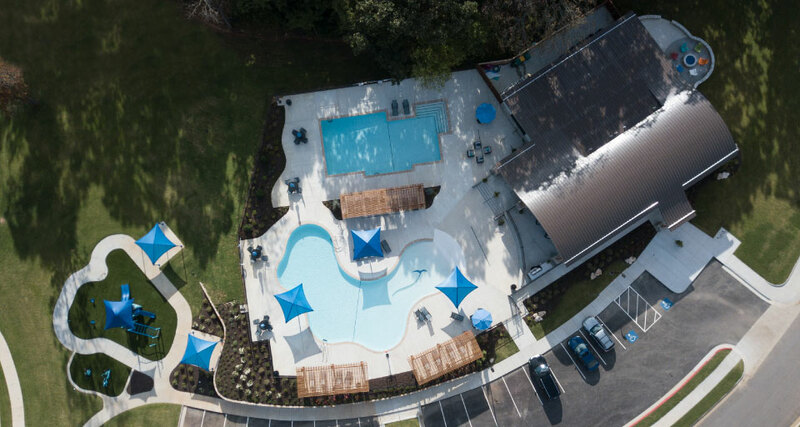 On warm summer days, you can cool off, sunbathe, or picnic with friends and neighbors at our sparkling swimming pool facility and pavilions. 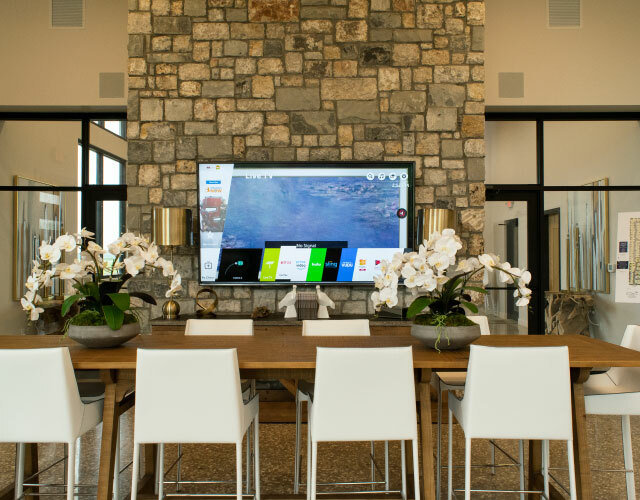 This spectacular amenity is close to home and a jewel the whole family can enjoy. Scissortail truly has it all! A neighborhood with character, style, and all the comforts you deserve. Live every day at Scissortail enriched by extraordinary design and luxurious amenities. Picture yourself immersed in the lifestyle you crave. Scissortail offers luxurious pools for adults and kids alike. With two resort-style pools, the choice between relaxation and exhilaration is yours. Spend your summer days by the luxurious adult pool while your kids splash around in their own oasis. At Scissortail, you can float or lounge under umbrellas and pavilions until your heart’s content. Or, find a quiet, shady spot to relax and immerse yourself in the lifestyle you crave. 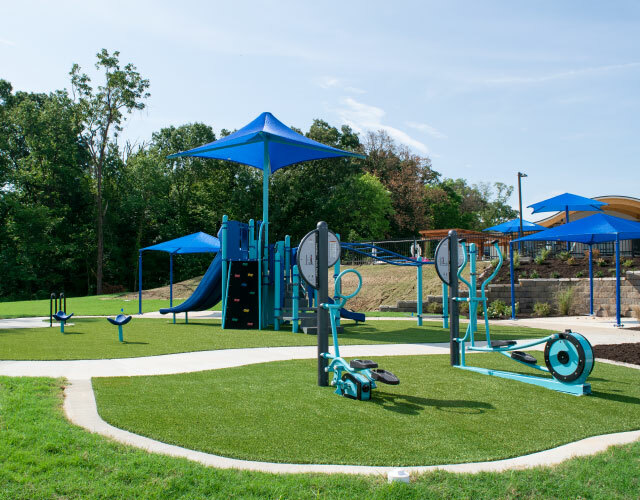 The park is sure to please all ages and provides a place for your kids to burn off all the never-ending energy. Meet up with neighborhoods. 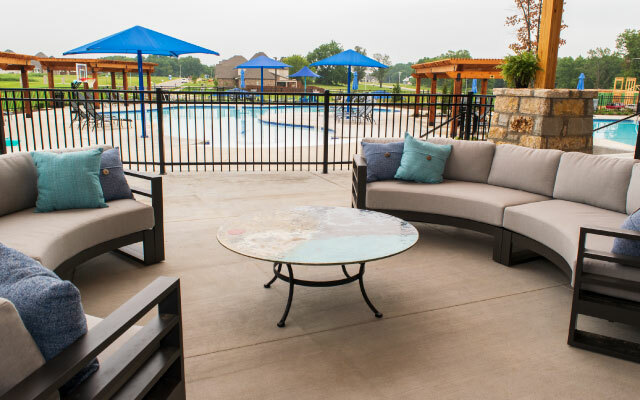 It’s the perfect meet-spot for both kids and adults to get out and enjoy the outdoors. Open the door to all the comforts you expect, plus some you suddenly can’t live without. 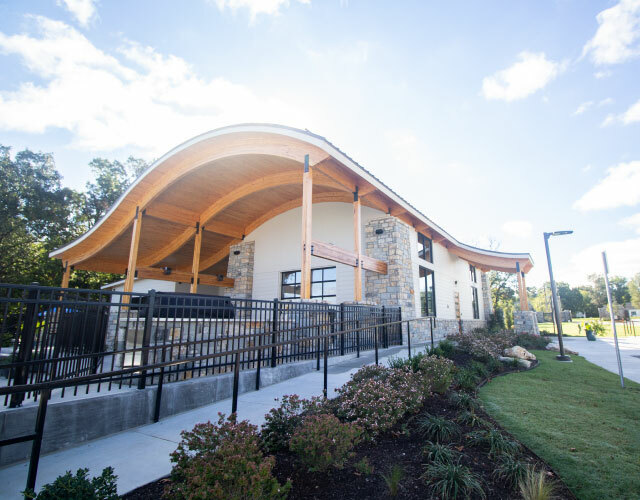 Our artfully constructed clubhouse features distinguished architecture, beautiful decor, and plenty of modern conveniences such as. 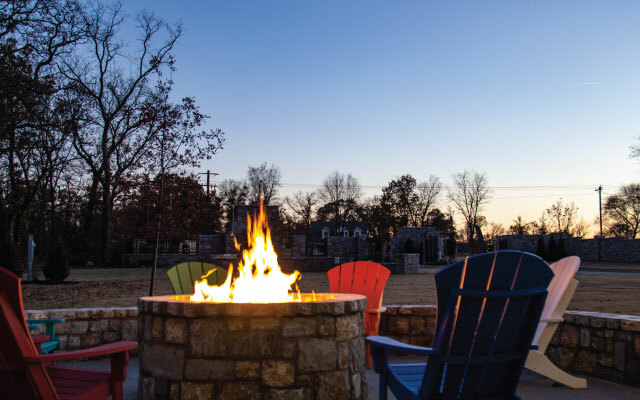 The Scissortail clubhouse is the perfect place to host parties or relax and roast marshmallows by the fire pit. Or, slip away to relax on comfy couches for some quiet time. We even have a designated conference room for our business professionals to host meetings. 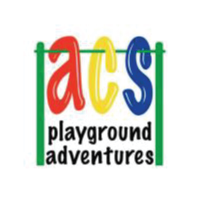 Plus, we offer a lively and excitement-filled social calendar of events that is sure to please families of all ages! Stay fit at Scissortail! At Scissortail, you have a place to burn off the stresses of the day just seconds away! Our private fitness center is the perfect place to live a healthy lifestyle. Avoid the hassle of getting your workout in at a public club when you have the convenience of a private fitness center at the clubhouse. Sport Courts – Coming Soon! Live healthier at Scissortail. One of the most exciting things about being a part of this master planned community is the active lifestyle. Enjoy the convenience of our private sports court where you can shoot some hoops — all, close to home and in beautiful surroundings. We will also have Bocce Ball and horseshoes available for a friendly, competition with family, neighbors, and friends. We proudly recommend our clubhouse founders that made the design, construction, and amenities at Scissortail possible. 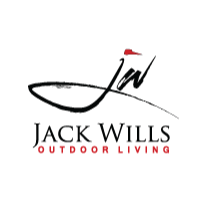 We appreciate the services provided by our vendors and are proud to recommend their services. We moved here from Minneapolis and LOVE the sense of community that Scissortail brings. We wanted a little bit of space coming from a Metro area, but also needed a family friendly neighborhood for our two little ones, and Scissortail checks all the boxes. We really enjoy the amenities and all of the unique residential architecture throughout the development.